This museum, housed in the Romanesque church of Santo Stefano and Santa Cecilia, is designed to safeguard art from disused chuches around Florence. It opened in 1983 and was itself badly damaged in the bombing in via dei Georgofili a decade later, that caused the ceiling to cave in. It reopened in 1995. 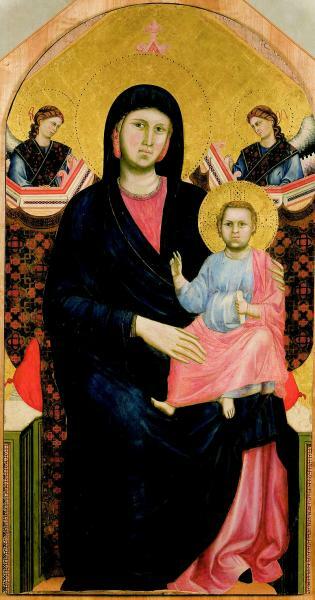 Its star painting is the Madonna and Child with Angels (also known as the Madonna della San Giorgio alla Costa) by Giotto, but there are other gems too, including the Predella di Quarate from a lost altarpiece at Quarante near Bagno a Ripoli by Paolo Uccello, the figure of St Julian by Masolino and a harrowing Praying Magdalene by Francesco da Sangallo. Other works are by Fra Filippo Lippi, Lorenzo di Bicci, Santi di Tito, Carlo Dolci, and Pietro Tacca.